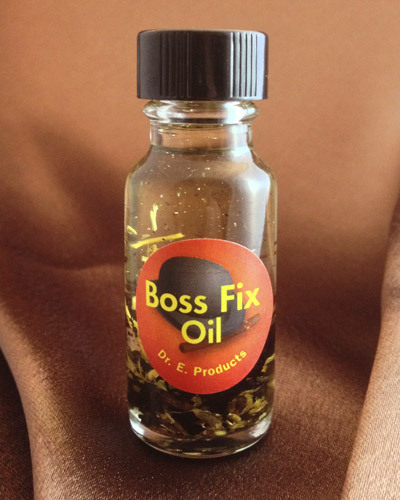 Boss fix oil, has really fixed my bosses. They have been staying out of my personal business, stopped harassing me, and have been all smiles and chipper. I add a few drops to a mini spray bottle with water, and spray myself and around my work area where they always are. added a it of my personnel essence, and favor me they have. keeping them off my back, but in my favor has been what I wanted, and I received success. I recommend this product to those having issues with that nasty manager on the job. Date Added: 06/11/2013 by E. F.